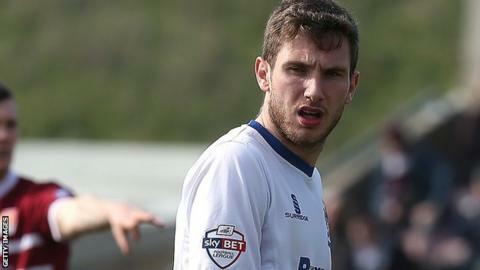 Bury boss David Flitcroft says Danny Mayor, who has signed on a permanent basis from Sheffield Wednesday, is a player "with Championship quality". The former Preston winger has agreed a three-year contract with the Shakers. Bury have paid an undisclosed fee for the 22-year-old, who has scored five goals in 42 games since first joining on a season-long loan in August. "The signing has sent out signals and let people know that we mean business," Flitcroft told BBC Radio Manchester. Flitcroft guided Bury, who were struggling in the first half of the season, to a 12th-place finish in League Two after taking control at the JD Stadium in December.